Earth Friendly's Shower Cleaner helps to eliminate and prevent hard water stains and soap scum marks and has a pleasant lavender scent. For optimum results it is best to start with a clean surface. We recommend that before the first application of Shower Cleaner you clean tiles and glass with Orange Mate ready-to-use or Window Cleaner. Spray a light mist over tiles and glass after each shower to maintain stain-free tiles and glass. 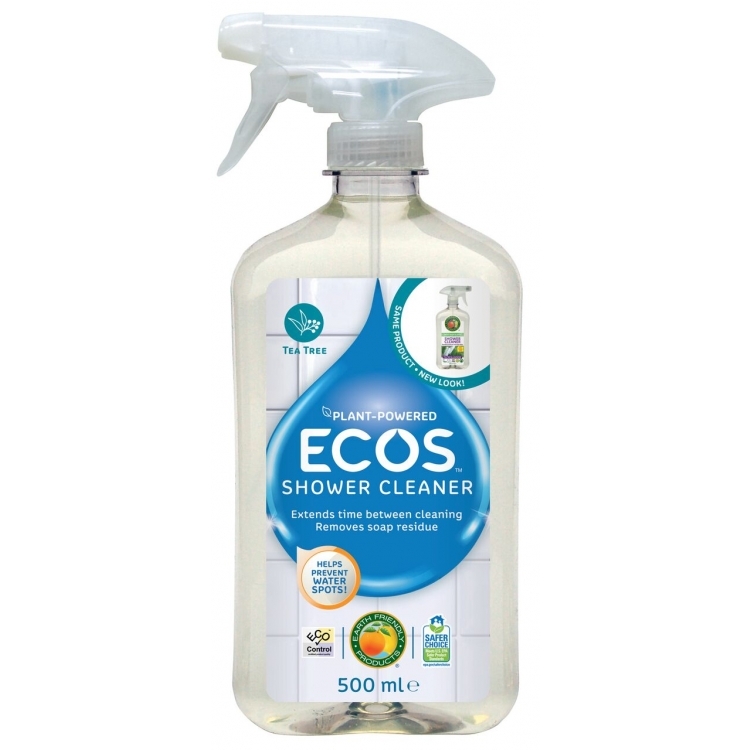 Shower Cleaner is also an excellent multi-surface cleaner for the bathroom with the antiseptic qualities of tea tree and lavender essential oils, it is ideal for cleaning the bath, sink, toilet seat and mirror, and leaves a pleasant lavender scent. Ingredients:Water, Alcohol Denat. (corn-derived ), Plant-Based Surfactant (<5% non-ionic), Citric Acid (plant-based pH adjuster), Sodium Citrate (plant-based water softener), Sodium Gluconate (plant-derived water softener), Potassium Sorbate (plant-based, food grade preservative), Aloe Barbadensis Leaf Juice (Aloe Vera), Melaleuca Alternifolia (Tea Tree) Leaf Oil, Lavandula Angustifolia (Lavender) Oil, Lavandula Hybrida Oil, Lavandula Angustifolia (Lavender) Oil (N.O.P Certified Organic).